Hardwood flooring is becoming more and more popular as people are shying away from carpeted areas and looking for beautiful hard floor options. There is an aesthetic beauty that hardwood brings into your home that can’t be achieved any other way. However, there are times that hardwood flooring needs to be replaced rather than refinished or repaired. Sequoia Flooring is here to talk about when hardwood flooring should be replaced. You can only refinish hardwood flooring so many times and here’s why; during the refinishing process, the floor has to be sanded down to get rid of the current finish as well as get rid of any nicks and scratches caused to the floor. Each time this is done, the wood gets a little thinner, until it is too thin to refinish again. On average, you can refinish wood between three and five times before you need to plan on replacing it rather than refinishing. Any time you experience water damage to wood, there really isn’t any way to repair it. The warping that comes from water is the worst thing that can happen to hardwood. Water will cause the wood to have gaps, peel up and buckle. You will find that there are likely many areas of your floor that have a feeling of instability after experiencing water damage. If you have experienced any type of water damage in your home and it made its way to your hardwood flooring, you need to plan on replacement rather than a refinish. Believe it or not, there are several design choices available to you when you choose to put hardwood flooring in your home. Traditionally speaking, in the past people chose hardwood planks that were 2 ¼ inch wide planks. Now more homeowners are choosing wider planks for their homes. If you have decided that you want to choose wider planks, you will need to take out the old hardwood and replace it with the design that you are after. Just like the design choices that are available to you when you are choosing your hardwood, the wood options are seemingly endless as well. While in the past oak was a common choice, now homeowners are likely to choose bamboo, Brazilian cherry and maple to make their home look more stylish. There are some woods like the ones listed above that are harder than others and prove to offer more durability as well. 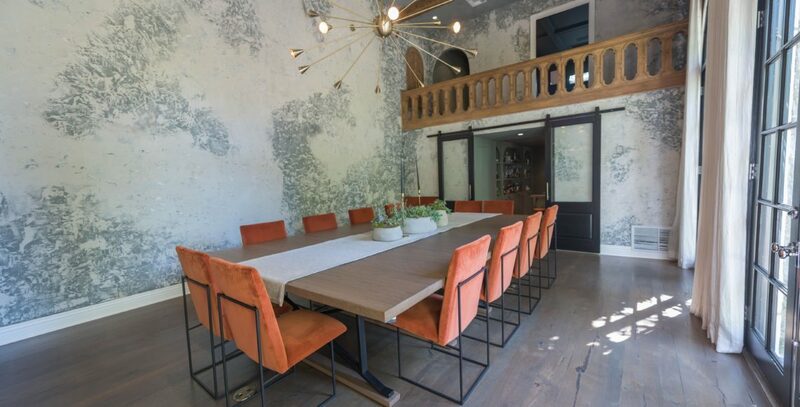 If you have decided that you are interested in refinishing or replacing your hardwood flooring, you can count on the flooring specialists at Sequoia Flooring to deliver outstanding results. 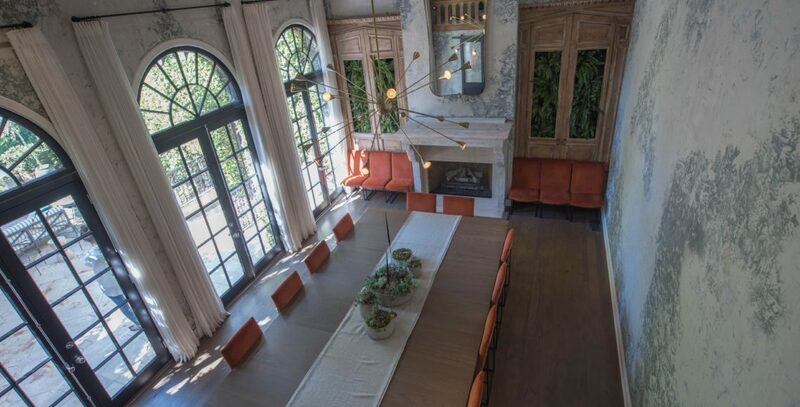 We have extensive knowledge and experience that makes us your leading choice in hardwood flooring services. We offer refinishing, installation, replacement and repair options for all types of hardwood flooring. Call us today for your free consultation. All homeowners will claim to simply love their wooden floors. It is a worthy investment to their home. However just like any material, wood requires maintenance. Solid hardwood floors will occasionally need to be refinished. When a wood floor need to be refinished it often involves stripping the floor, sanding the wood and resealing the wood to maintain a smooth and protected finish. However, most homeowners will wait way too long before they have their floor refinished. Sequoia Flooring will share a few signs that you need to refinish your wood floor to ensure your investment lasts. In areas with high foot traffic such as the kitchen, hallways, and living rooms, the wood floor will have worn spots. Worn spots may appear as faded trails in the wood. They may have scratches and even appear dry. Due to the frequent foot traffic, the wood’s protective sealer often gets worn away the fastest creating worn spots in the floor. To prevent damage to the wood it is important that the wood floor gets refinished when these wear down spots occur. To know if your wood floor needs to be refinished you can also perform a water test. This test is simple. Pour a small amount of water on any spot of the floor. What did the water do? If the water splashed into tiny droplets that stayed on the surface of the wood, it passed the water test and your wood floor is fine. However, if the water soaks into the wood, this indicates the sealer is mostly gone and moisture and other contaminants can get inside the wood. After finishing the wood, the sealer will prevent water from soaking inside the wood. Over time it is natural for micro scratches to occur on the floor’s surface. However, when deeper scratches begin to appear on the floor, this can become a problem. Deep scratches can expose the inner layer of the wood which makes it prone to water damage as well as dry damage. Additionally, deep scratches make the wood look old and worn. When deep scratches appear it is a good time to have the wood floor refinished. When the sealer wears down the wood can become lightened after extended periods of time when exposed to the sun. The sun can dry out the wood and even discolor the wood making it appear lighter. When the wood is dry and light, it is never a good sign. Dry wood will lead to major splits and cracks in the wood and often the wood will need to be replaced. When discoloration occurs, have the wood refinished. 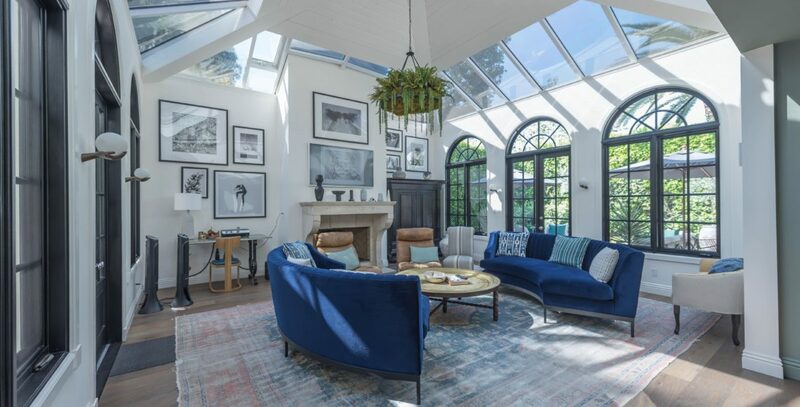 Additionally, areas exposed to sunlight should be protected with a rug or furniture if possible. Wood requires some maintenance from time to time. Most wood floors can go between 5 to 10 years in between refinishes. However, wood floors exposed to heavy traffic or are neglected, will require more frequent refinishes. It is important to know how to care for wood floors to ensure their longevity. If you need professional help installingor refinishing your home’s wood floors, contact Sequoia Flooring today. When making the investment to install real hardwood floor, most people never know how difficult it can actually be. Natural hardwood floors have a lot of additional steps during the installation process that is essential to ensure caring for the wood to prevent damage and quality installation. Installers wished more homeowners knew the additional steps that goes into installing hardwood floor for these reasons. 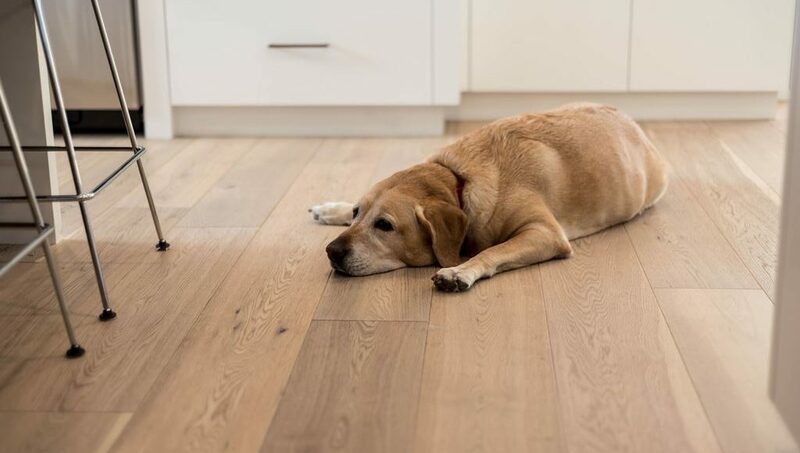 To better understand, Sequoia Flooringwill share the top three unknown facts about installing natural hardwood floors to ensure longevity of the flooring and what to expect from proper installation. When installing hardwood floors, the wood will lay on top of a subfloor, which in most homes is made of concrete or plywood. The condition of the subfloor is important to the wood flooring. If the subfloor is made of concrete and is cracked, it can allow moisture to affect the wood. Rotting plywood is a poor foundation for the hardwood floor and can also prematurely decay the wood. Before laying hardwood flooring it is important to assess the condition of the subfloor and replace or repair the subfloor before laying the flooring or you may have squeaky, loose, or warped flooring as a result. What many homeowner don’t know before installing the flooring is that the flooring materials will need to be acclimated first. Mostly in the case of concrete subfloors as concrete can hold in moisture and can change in temperature throughout the year. When moisture or change of temperature effects natural wood, the wood will expand and contract. So basically the floor will move. To prevent a major installation disaster, installers will acclimate the planks to a moderate temperature and moisture levels before they begin installing the hardwood floor. This step will help ensure the material care and quality of installation. When it comes to installing in small rooms, it is recommended to start on the furthest corner from the door and work your way down and out of the room. This prevents the need to walk over the partially installed floor to help prevent poor installation. However, this concept doesn’t always apply especially when it comes to installing in open floor plans or larger areas. When laying out the floor, most installers start at the focal points. Natural wood floor planks are unique and not one plank looks the same. Even the same type of wood will vary in color and pattern since no one tree is the same. Wood floors will come from a number of trees of the same species. Therefore, they are still unique. Often installers will pick the best planks to be installed at the focal point and the less pleasing pieces on the outer edges on in more discreet locations. Additionally, they will use the planks with patterns that vary yet blends together for a unified floor. When installing hardwood floors it important to know how to properly install and care for the wood floors to ensure that your investment lasts for decades. Sequoia Flooring can help ensure your hardwood floor gets installed properly and with care. If you want quality flooring and installation, come and see Sequoia Flooring today. There are many options to covering your concrete floor, or when you are in the market to replace the flooring you already have. Carpets are one, though they have a tendency to absorb spills and odors; and daily vacuuming can be cumbersome to busy lifestyles. The wear and tear on carpet takes a toll too soon and carpeting isn’t for everyone. Tile is another option as many people like the durability, easy maintenance, and odor resistance. However, when objects fall it can create divots or chips. Another issue with tile is that it provides no comfort or cushion to tired feet and sore backs. Wood flooring is a sound option many people prefer. If offers some cushioning to walk on, it resists odors and stains, along with being easily maintained. When it comes to your wood flooring, there are quite a few options for taste, style, and budget. With that in mind, we at Sequoia Flooring would like to share the basics of wood flooring for your consideration. Engineered Laminate Flooring: Engineered laminate is the lower quality wood flooring option. This is a hardboard with Masonite type backing material that features a photo of a reproduced design, which is then covered with a resin or plastic coating. Though the aesthetics is notable it can give the impression of a sub-quality product. Though they can last a while if properly installed and maintained, they cannot be refinished to extend the lifespan or alter the appearance. Real Wood Floors: With excellent durability and the ability to refinish, this option is high quality hardwood or bamboo. This engineered flooring has a hardwood layer at the top and is manufactured with various laminates either wood or synthetic. It can be easily installed over concrete, subflooring and in any room including bathrooms, recreational rooms and basements. This flooring is dimensionally stable, durable, and cost-effective. Solid Hardwood Flooring: This option can be installed over the top of a wood subfloor. They are solid and of the highest quality. They, however, can expand under highly humid conditions, leading to buckling and cracking. Because it is usually nailed in place, it is not the most compatible when laying over concrete floors. Because of the chance of spills in the kitchen and the high moisture of bathrooms, solid wood flooring is not recommended for these areas. When it comes to installing the various wood flooring types, there are a few options for specific applications. The subflooring must be clean and flat. Nailing, adhesive (or glue), and other methods secure the wood floor. 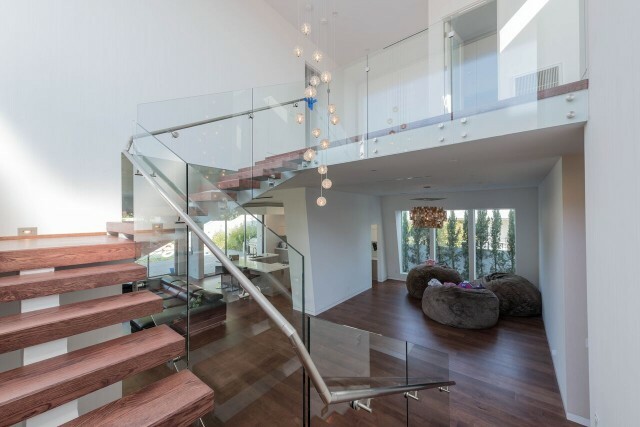 In some instances, the solid hardwood flooring and engineered hardwood can be installed on tip of a “floating” substrate. This material is not attached to the actual floor and it allows the floor to expand or contact according to the humidity conditions. The floating substrate has the wood floor glued to the surface. With only the borders attached to the subflooring, some engineered products utilize a tongue and groove method of installation. A less expensive product installed over a foam substrate is offered at some big box stores. No matter which wood flooring option you prefer, call Sequoia Flooring to let us get it installed safely and efficiently. Prefinished hardwood flooring is more common and in recent years, becoming more popular in both residential and commercial applications. Before, the unfinished hardwood flooring was the main stream option in the industry. Many homeowners are caught up with what might be the better option, especially since both prefinished and unfinished wood flooring has its pros and cons. With that in mind, we at Sequoia Flooring would like to share those pros and cons so you can better decide which option is better for your home. Prefinished wood flooring is factory-finished hardwood flooring; meaning that each board is coated with polyurethane before it is stocked on the shelf. – The boards’ coloring and staining is more uniformed and consistent. – You can invest in resist minor surface damage with specialized pre-treatments such as anti-scratch coating. – Prefinished is the most convenient and easiest option. – They have exceptionally high durability. Cons of Pre-finished Hardwood Flooring: Customer preferences are limited when it comes to grains, colors, widths, and lengths among others. The durability of the finish can make it a challenge to remove from these surface layers in the event you decide down the road you want refinish the flooring. Unfinished flooring is raw wood, requiring the buyer to be responsible for sanding and finishing the floor on site during the installation process. Most agree that there are more cons than pros with unfinished. – More flexibility for refinishing and repairing the floor. – The sealing is fresh after finishing the newly installed floor. – You have the option to add inlays after you sand for a perfect flush with the rest of the floor. Cons of Unfinished Hardwood Flooring: The installation process from start to finish is considerably longer. After it is installed on the floor, it needs to manually be sanded and finished. Staining is also necessary, and you will need to allow time for it to cure before walking on it. When it comes to prefinished or unfinished hardwood flooring, one option is not necessarily better than the other, it is all a matter of preference. The individual should consider the basic pros and cons as well before committing. 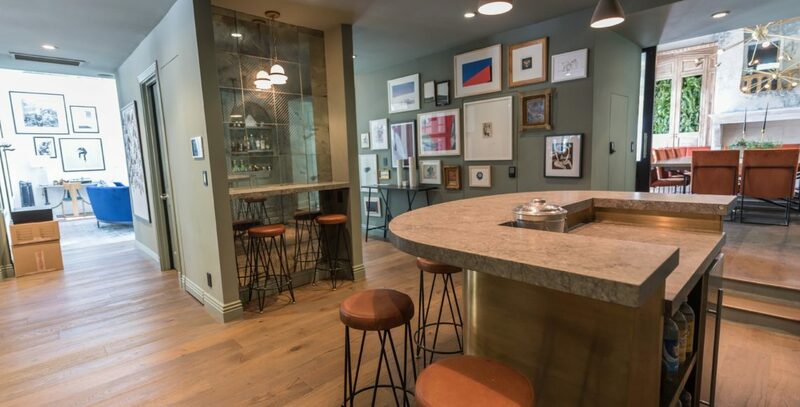 No matter if you desire the perfectly prepared, flawless, ready to install flooring or the gorgeous and natural imperfections of unfinished flooring with the options to custom finish it, Sequoia Flooring is readily available to help you with your installation. Contact us to learn more today! White oak floors have become more popular over recent years and for many reasons. 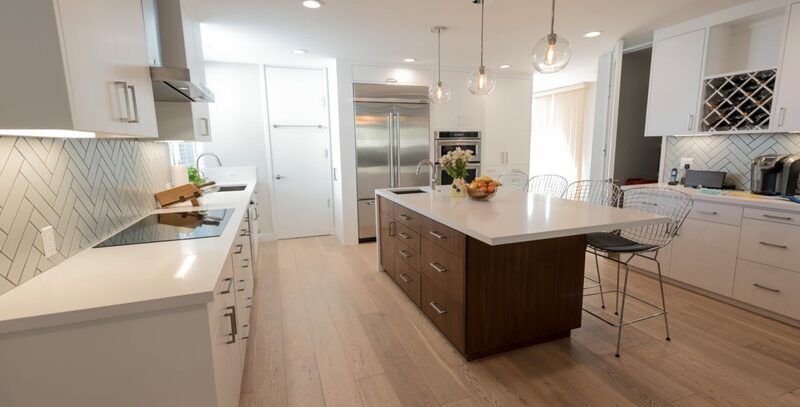 There are many benefits of using white oak floors and when a homeowner is looking to install a wood floor for the first time or needs to replace old wood floors, consider using white oak. Sequoia Flooring will share why white oak floors are so popular and why so many homes are choosing them. One reason why white oak floors get so much attention is mainly that they look very nice. White oak floors fit well with many different types of design schemes including rustic to modern designs. White oak has great features within the wood’s grain. White oak has beautiful tight spiral rings which create a smoother and cleaner looking floor. The natural color of white oak wood is versatile and fits great with any other color in the room or home. Out of all of the oak species, white oak has proven to be very durable. White oak is more scratch resistant and dent resistant and when either occurs, they are not very noticeable. Additionally, white oak can resist impact damages better than other wood and can be more easily repaired. 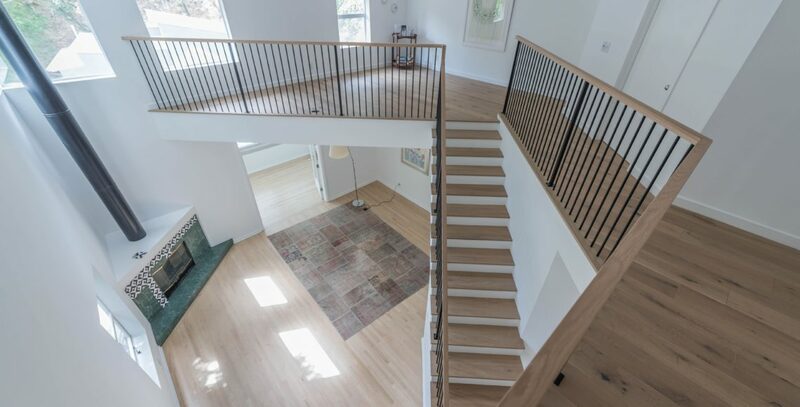 White oak can also withstand the affects of time and with proper maintenance, can be the last floor you will ever need to install in your home. Water and wood do not mix well together. Water can damage wood causing mold, wood rot, and cupping to occur. Humidity is equally harmful to wood over time. Due to the nature of wood, homes are limited to where wood floors can be used. However, white oak appears to break the common rule and is more resistant to water or humidity than other wood species. Like all wood, white oak is affected by moisture but not nearly as severe. When you want a wood floor in your bathroom, kitchen or mudroom, white oak is a possible contender. Like all solid hardwood floors, white oak will need to be sanded and refinished periodically to ensure the wood’s longevity. All wood floors, including white oak wood, can be refinished about 4 to 5 times before the floor needs to be replaced. Most wood floors need to be refinished every 5 years or sooner depending on the floor’s exposure. However, white oak floors can go 8 to 10 years, due to its resistance to moisture, scratches, or impact damage. With proper care white oak can go longer periods of time between sanding and refinishing than other wood species. Essentially, white oak can go longer in between maintenance care and as such, provide a durable floor in your home. Due to the beauty, durability, and maintenance needs of white oak floors, they are growing in popularity and can be found in many homes. They will be installed in more homes in the future. When shopping around for wood flooring, consider looking at white oak floors. Visit Sequoia Flooring and check out our selection of quality flooring materials and don’t miss our white oak selection. 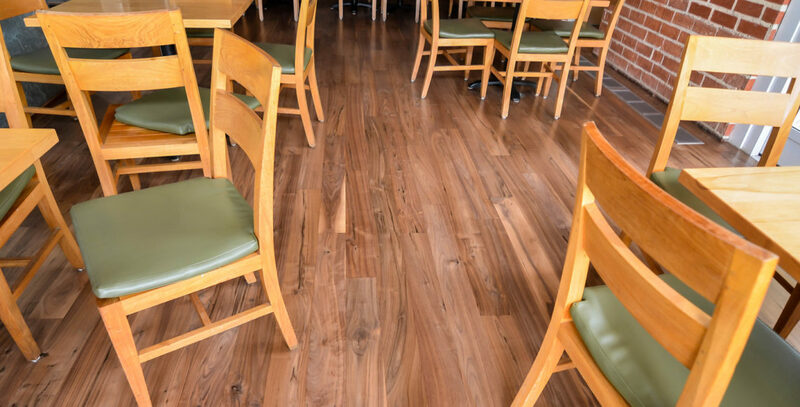 For all of your hardwood flooring needs, contact Sequoia Flooring today. For one reason or another, people move things around several times a year. We have received many repair calls due to damage done to flooring while someone was moving around a fridge or some furniture. Understandable, yet avoidable, scratches done to a hardwood floor can be fixed for the most part. It will prolong the life of the floor and the finish to avoid this process altogether though. Start the new year off right with these helpful tips in protecting your floors against damage during moving! This step seems to get looked over more often that not. Whether you are moving couches around, beds or appliances, one thing remains the same. Tiny pieces of gravel and dust that have built up under and around the furniture can become lodged between the furniture and floor and cause damage to the floor or it’s finish. By doing a thorough vacuuming beforehand, you can ensure you aren’t adding unnecessary scratches to the floor. Dropping a heavy piece of furniture onto a hardwood floor can cause irreversible damage including a dent in the flooring. Always take your time and have a partner work with you to move large or heavy items and take your time moving the items from one place to the next! We get it, it’s tempting to get things done on your time, but don’t be tempted to drag that couch across the floor on your own. If it is at all possible, wait for assistance and gently lift then move whichever appliance or piece of furniture to its next destination. This is a common way to scratch and dent hardwood flooring. If for whatever reason you can not lift and move the item, try to place a cushion between the item and hardwood floor before moving it to avoid damaging the floor. Can I Keep Clothes in Drawers when Moving Over Hardwood Flooring? When you need to move dressers, bookshelves or other heavy items, start by making them as light as possible. Remove the drawers from the dresser, remove books or other items from the bookshelf, remove food from the fridge etc. before moving the item across your hardwood floor. The lighter an object is the less damage it can cause if it was accidently let down too hard in the moving process. When moving couches or other soft sided furniture, consider flipping it onto its side and placing some sort of padding between the furniture and the floor to more evenly distribute the weight of the item across the floor to avoid excess damage to the floor or furniture. Never use cardboard for this step as it can dull the floor’s finish and leave dull spots. It may be tempting to push a large object across the floor that is equipped with wheels. Wheels seem to give off a false sense of confidence to some. When it comes to hardwood floors, you want to avoid the possibility of the wheels turning sideways and getting stuck. This will cause them to scratch and scrape the flooring. Instead, place a piece of hardboard between the item in question and the floor and gently slide it to its new destination. Sequoia Flooring knows that life happens to hardwood floors. That’s what we’re here for. Hardwood floors add beauty and sophistication to any home, they are a timeless addition and will last you a lifetime if they are properly cared for. Give us a call if you need assistance repairing scratched floors or have further questions, we’d be glad to help! In any home, hardwood floors can be isolated in one room or covered in most of the house. No matter where you install hardwood floors however, they all require maintenance. Having glistening clean floors is always preferable, but with the sensitivity wood floors have to moisture, cleaning can be a challenge. Glossy wood floors frequently look filthy quickly as they can easily smudge. Using the right method according to the type of wood floor type is crucial. The main goal is avoiding dirt from lingering. Dirt is a natural abrasive, and with friction caused by daily foot traffic, a sandpaper-like affect occurs. The primary step in preserving the condition and longevity of the wood floors is removing the debris on a daily basis. To properly keep the wood floors clean, you should establish a daily routine and weekly routine to keep them looking amazing. With that in mind, we at Sequoia Flooring would like to share some cleaning tips for the floors we installed for you today. Daily cleaning focuses on clearing the visible crumbs, dirt, hair, and other debris off the floor. A dust mop or a nimble hard surface floor vacuum can be used to clean the surface; do not forget to get the edges, corners, just as you clean the center. Your ultimate goal is to keep the debris from the surface, and if your schedule doesn’t give you the time for daily surface cleaning, be sure to tackle it a few days throughout the week. Though it is a sensitive action, the floors need a deeper clean and mopping is usually the way to go. You need to understand; wood floors are not moisture friendly. Never saturate the floor with excessive moisture and ensure the debris is thoroughly removed first. Use a wood cleaner, preferably specific to the type of wood floors. While still restoring some luster to the floor, these cleaners effectively clean and remove the residues and spots from off the wood floor. With a microfiber mop pad, dry the floor immediately after cleaning. To treat isolated messes, you can use a damp mop or cloth, just be sure to promptly dry the area. With routine maintenance; sweeping/vacuuming and weekly mopping, your floors can stay in great condition and prolong the more involved maintenance. Avoiding the staining and moisture related damage, be sure always wipe up fresh spills as soon as they occur. To prevent excessive damage, there is additional maintenance that should be done diligently. Refinishing is another maintenance service that is done as necessary. It involves, sanding down of the surface deterioration and old finish, once the dust is properly cleaned up, the re-staining application. When you want a change, you have the option of using the original color or you can change the color of the finish when you get this service. 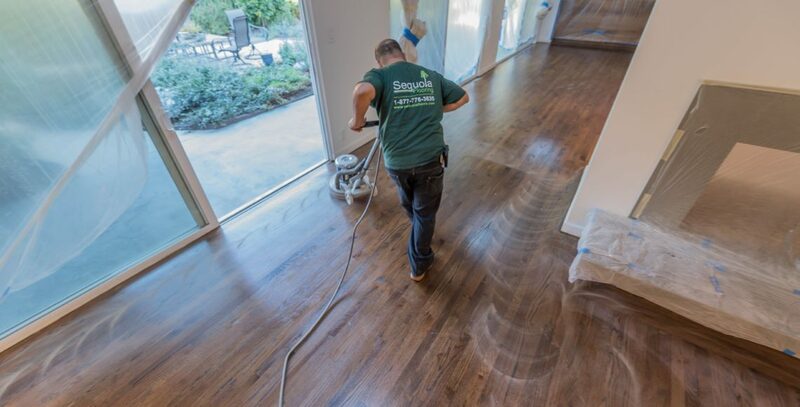 For all of your installing, repairing, or refinishing services, call the specialists of Sequoia Flooring and let our experts help you with your hardwood flooring project. When installing or refinishing hardwood, often we place a baseboard mold that helps hide the edges or gaps along the edges of the floor and wall. There are two types of edge pieces that are used to finish the floor baseboard mold; Base Shoe or Quarter Rounds. They are very similar but do have their differences and times when they are used. Sequoia Flooring will share more about quarter round and base shoe molding to explain why they are used along with hardwood floor installation and refinishing. Both base shoes and quarter rounds look very similar and cases they are each used. However, there are some situations where one may be better suited then the other. Both are used to provide a smooth transition from the floor to the baseboard. As stated, they help hide the gaps or spaces between the baseboards and the floor. Quarter Rounds: As the name implies, quarter rounds are a like a circular piece of wood that has been cut in four pieces and makes a quarter round piece of wood. A quarter round is cut at a 90 degree angle and can come in different sizes. Base Shoe: Base shoes are like a quarter round, but instead of being cut from a circle a Base shoe is cut more from an oval with the top piece cut higher. Both quarter rounds and base shoes come in different materials. Some are made from plastic, fiberglass and wood. When installing one of these molding pieces it is always best to use wood since it can be stained to match the wood floor. The plastic mold can be painted to match the floorboards if they don’t match the floor and are not stained. When is it Best to Use Base Shoe & Quarter Round Molding when Installing Hardwood Floors? When installing hardwood floors from the first, often the installer will ask if you want one of these transition moldings to be put around the floor boards. Another common and also essential use for these moldings is for set or sunk-in living rooms. When the edge of the floor comes together, such as for steps, it will leave an obvious seam that looks uneven. Using either a quarter round or base shoe helps create a smoother transition and helps hide the uneven edges. The edge where the mold is being installed can help determine the size and material needed. When refinishing hardwood floors, often the molding and floorboards will need to be removed. The wood floor will need to be completely exposed when it is refinished to make sure that the entire floor can be serviced. At this time the molding, if wood, can be sanded and stained while the floor is being finished if necessary. After the molding has been refinished along with the hard wood floor, the baseboards and molding can be reinstalled. The quarter round or base shoes are as much a part of the floor as the wood planks. When you need to install hardwood floors, Sequoia Flooring can help you decide which molding will work best for your home. When installing a new floor or if you need to have you hard wood floor refinished, contact Sequoia Flooring and schedule our services today.